I have the Boost libraries installed on my Macbook via MacPorts and was wondering how to configure AppCode to recognize the headers. I tried right clicking on the project -> Add Frameworks and Libraries -> Other... -> browse to /opt/local/include -> Choose. But this doesn't seem to add Boost to the list. 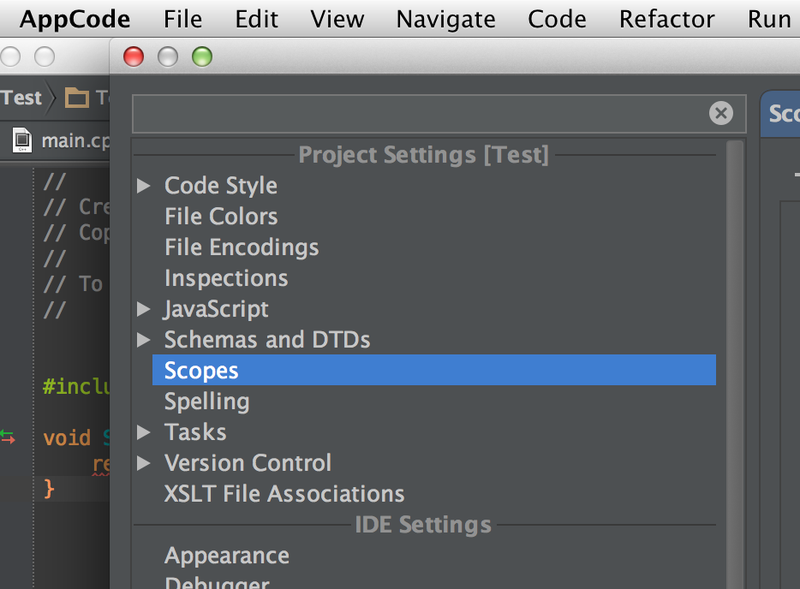 Has anyone successfully gotten Boost to work with AppCode? Boost is not a framework or static library, so you can't add it as you described above. To add it Header Search Paths and Library Paths should be configured in Project Settings -> Target.